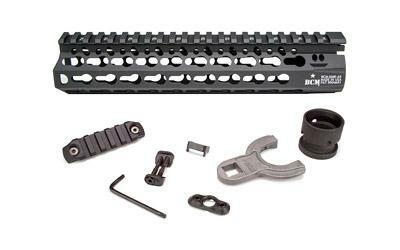 Home > AR-15 Parts > Rails and Handguards > Bravo Company Gunfighter Alpha KMR Keymod Handguard 9"
Bravo Companys KMR Alpha KeyMod Handguard is a 9" long free floating handguard with all the advantages of the original KMR but now made of 100% aluminum making it incredibly lightweight yet strong. The handguard itself weighs 6.0oz! Total Weight with mounting hardware: 8.2oz on a long 9" rail!